Canadian businessman and “Shark Tank” television personality Kevin O’Leary advises potential grooms to get a leg up on their finances before getting on one knee. According to retail jeweler Gunderson, the average price of a wedding ring is $5,598, but O’Leary says you should only pay for what you can actually afford. With the holidays in full swing, it’s the most wonderful time of the year–to get engaged. 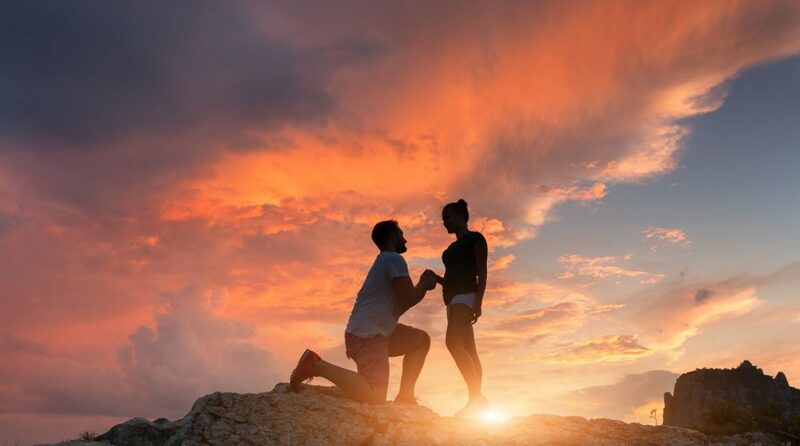 According to statistics provided by WeddingWireEDU, 40% of engagements occur between the months of November and February–in particular, Christmas Eve, Christmas Day, New Years’ Day, and Valentine’s Day–as time off work and travelling home to visit families provide an opportune time to pop the big question. However, O’Leary says to be wary of aggressive jewelers who are quick to present the idea of indebtedness in order to appease the notion that “bigger is better” when it comes to engagement rings. Instead, always opt to pay cash and if that ideal ring is out of financial reach, wait until you can afford it. “They tell you that you should put in ‘x’ months of salary into a ring, go into debt, put it on your credit card,” O’Leary added. “How about this idea–don’t buy one. Don’t buy one until you can afford it. Of course, what you can afford will mean different things to different people. For example, Gunderson also shared an interesting tidbit–the most expensive engagement ring was reportedly $8.8 million, which belonged to actress Elizabeth Taylor–a gift given to her by actor Richard Burton.The ring was reported to have the finest quality of diamond in existence, which helped it sell for that stratospheric price at Christies Auction house in New York City–three times its expected sales price.